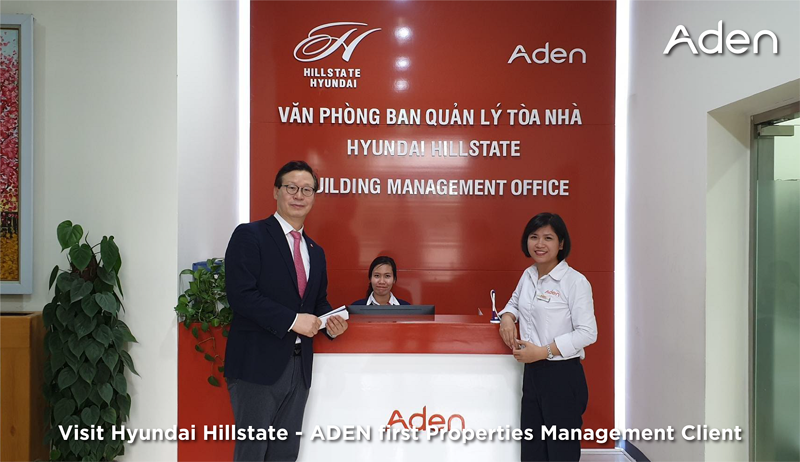 ADEN Vietnam welcomed Simon Im - former President of Hyundai and Kia France & Central Europe and Head of ADEN Korea, on his visit to Hanoi and HCMC. 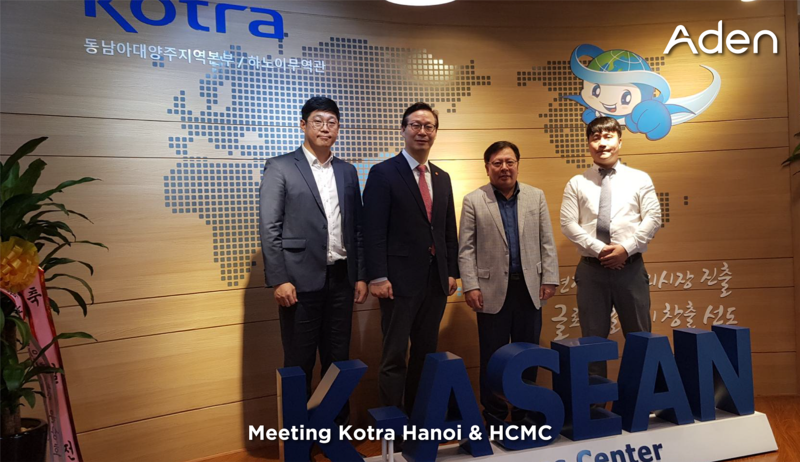 Simon arranged an in-depth review of our Korean key accounts in Vietnam such as Daewoo Construction, Lotte Department Store. 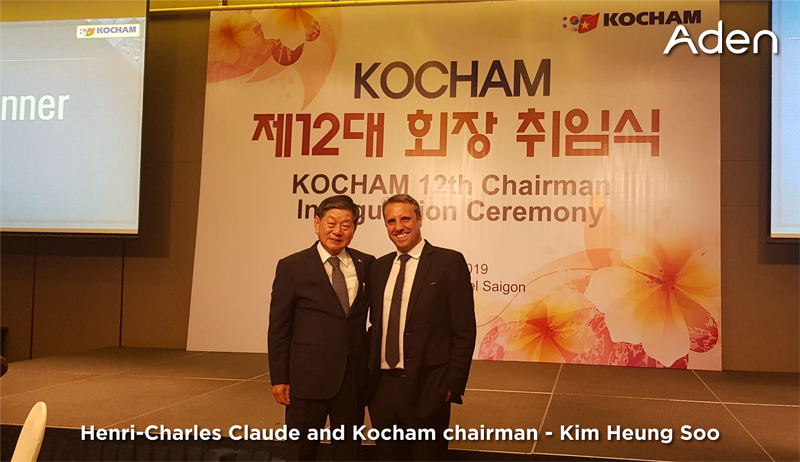 During the visit, several high-level meetings took place with Korean Ambassador, the Korean Chamber of Commerce (Kocham), Korean Trade - Investment Promotion Agency (Kotra) including the Kocham Chairman’s Inauguration Ceremony in Ho Chi Minh City, where Henri-Charles Claude - ADEN Vietnam’s General Manager and Chairman of CCIFV - delivered a speech for over 200 Korean companies. South Korea is the top investor in Vietnam’s booming economy, accounting for $62.5 billion in FDI by 2018. ADEN is excited to help Korea and Vietnam deepen their ties and build long-term partnerships and prosperity.